After the first article in this series about social data and media planning in which we discussed several methods to define and identify the target audience, today we'll focus our attention on how to enrich both the content and the media plan for those audiences previously identified. Let's see some of the practices, based on social data, which will help improve media plans (and content). Basically, this involves generating intelligence about the audience from data extracted from social networks. This allows us to understand with precision what the profile of our audience is, what media they consume and identify the content that has the most impact on this audience. Social data provides a detailed and accurate picture of what consumers are like. The insights that can be drawn from the data obtained from social networks provide a deeper level of information than traditional socio-demographic data, such as identifying the personality traits of a segment or identifying the buying habits of an audience. This customer persona profile shows you what the members of an audience or each of the different segments that compose it are like. 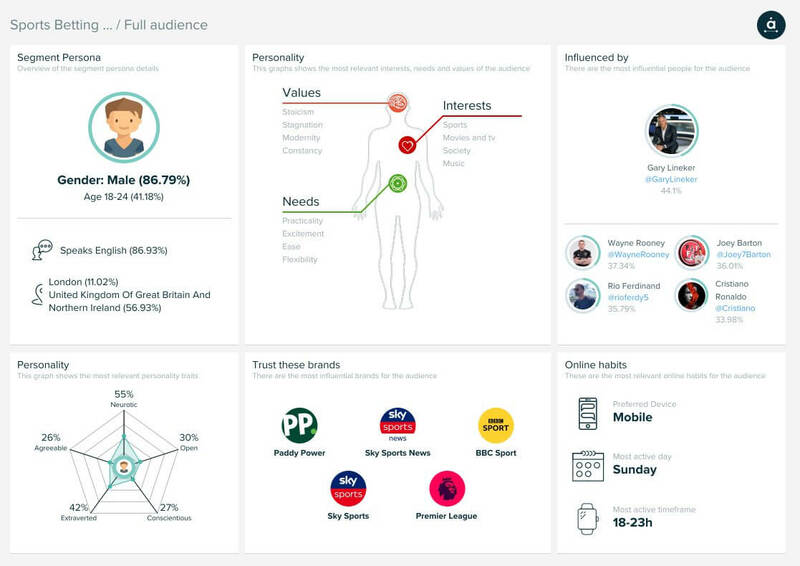 For example, after analyzing the audience of European betting shops, social data provides us with the profile that we can see below for these users. 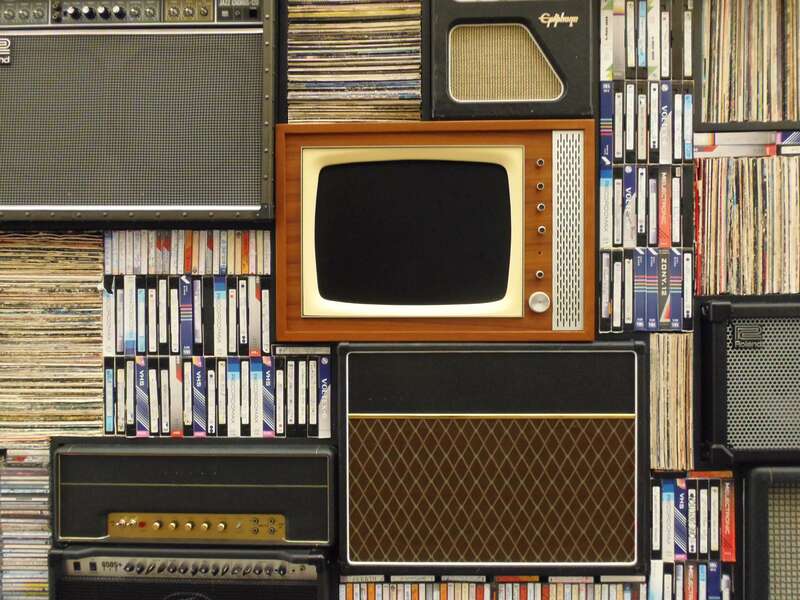 In order to optimize your media plan, both online and offline, there's nothing better than understanding which media is consumed most. 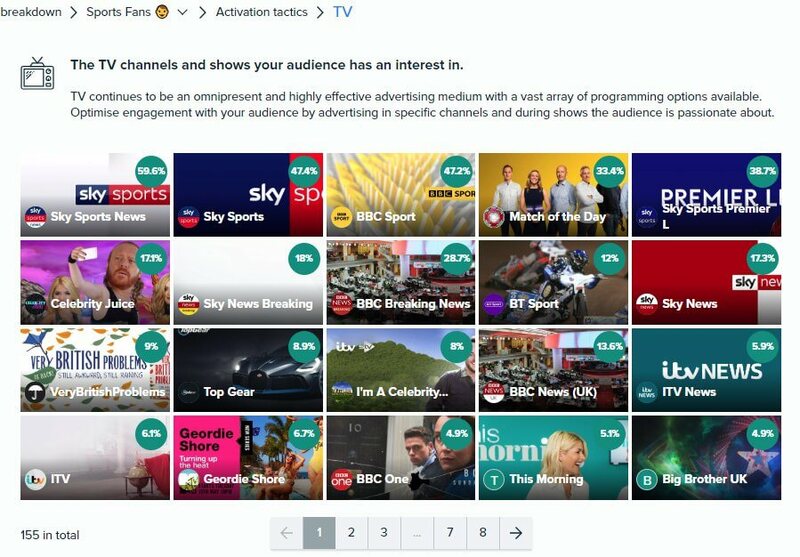 To continue with the example of the betting shop sector we can see which is the most compatible media for the different segments. We can see that there are great differences between the affinities of poker/games gamblers and of sports fans. 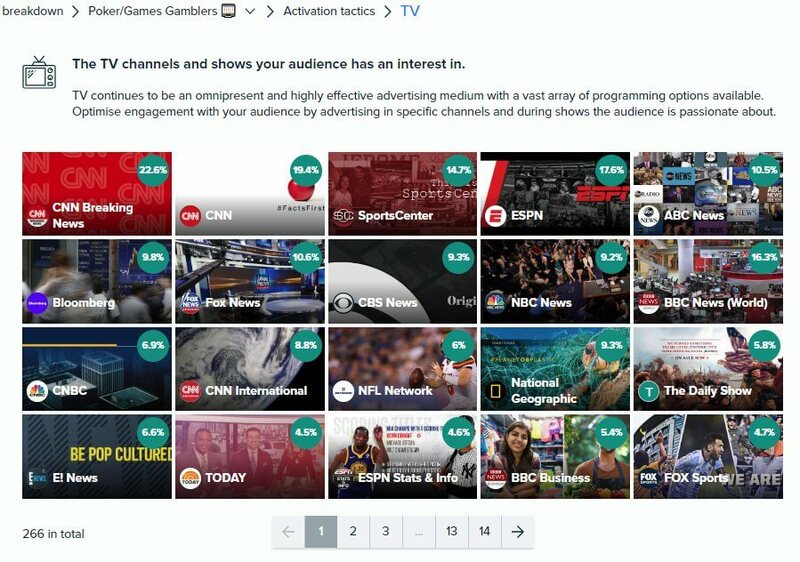 In the field of television for the former segment (poker/games gamblers), news and sports channels are reflected almost equally, while for the latter (sports fans) sports channels and programs take the top positions with much higher affinity levels than those of the poker/games gamblers segment. 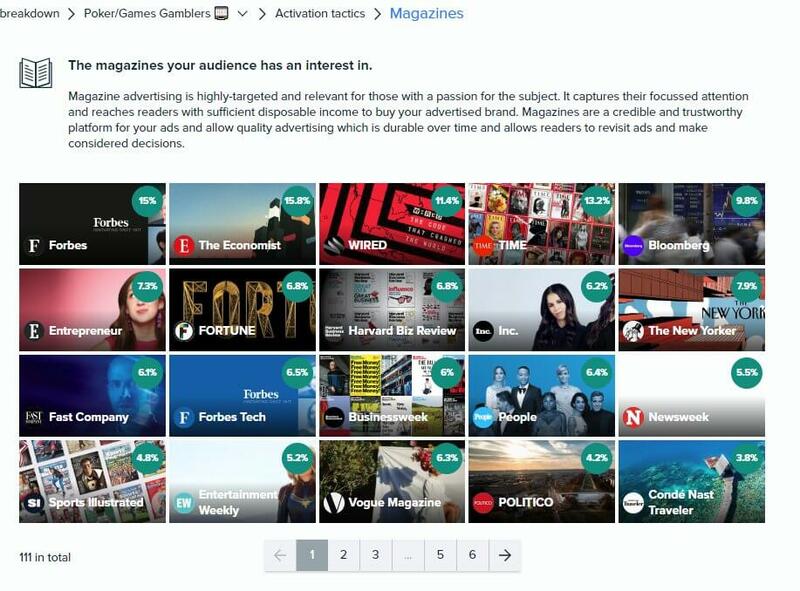 If we analyze, for example, the interests of those same segments in the field of magazines, we can see how sports fans are more inclined towards sports publications or those aimed at a male audience while poker games/gamblers show high levels of interest in news, finance and business magazines. Understanding which content has the most influence on the target audience allows for optimization of content strategies, as well as the publicity to be distributed according to defined media plans. 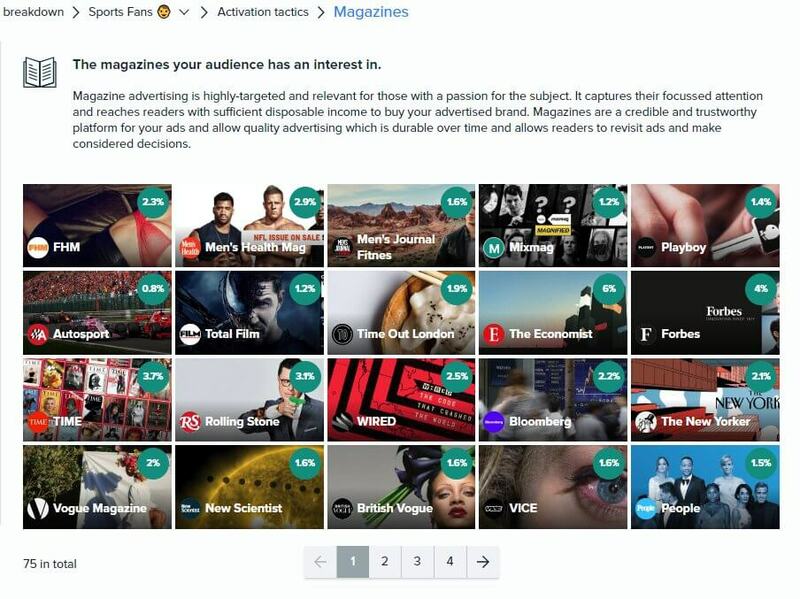 Formats, topics of interest, the most popular media and platforms... all this insights can be extracted from social data. Let's see the example with the segments that we have been analyzing so far. 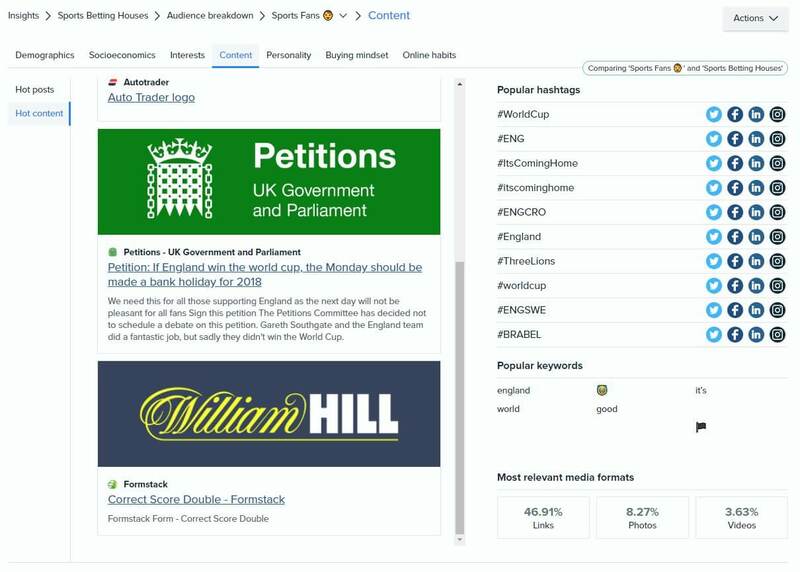 When we conducted our analysis of the audience of betting shops, the sports fans segment focused on content and conversations about the World Cup that took place last June. On the other hand, the poker/games gamblers segment consumed content related to current affairs, among which were some sporting events of the World Cup. All this valuable information, directly related to the target audience can quickly be obtained thanks to the analysis of social data. It's no longer necessary to heavily invest in complex and drawn out investigations or make decisions and plans based on hypotheses created from disconnected data. 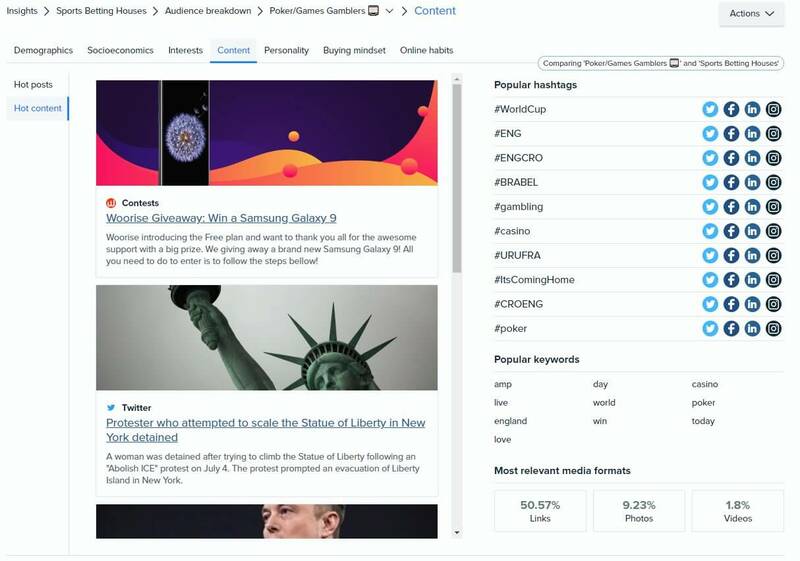 Request your demo of Audiense Insights today and discover with the help of our team how you can enrich your media plan thanks to social data. Photo by Tracy Thomas on Unsplash.